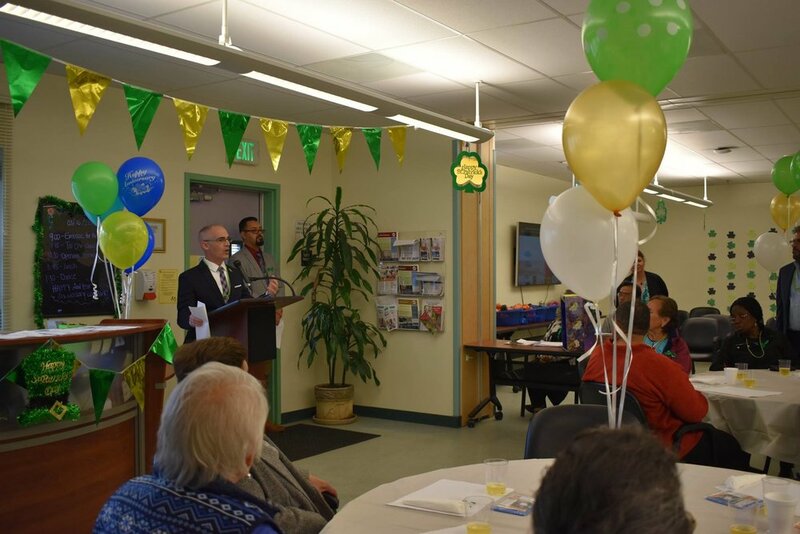 On May 2nd, 2016, La Opinion featured SBSS' Echo Park Senior Center in an article highlighting the new center and our new programs and activities in Echo Park. The article showcased the Center's partnership with the Los Angeles Unified School District and Councilmember Mitch O'Farrell's office. At the Echo Park Senior Center, SBSS provides wellness activities, meals, nutrition education, computer classes, and other programs that older adults age with dignity and independence. Thank you La Opinion for helping to get the word out about these new services for Echo Park seniors. Click here to read the full article. On April 17th, 2016, SBSS hosted Mayor Eric Garcetti and The Chew to showcase L.A. Kitchen and our partnership at the Echo Park Senior Center. SBSS and L.A. Kitchen have piloted a new lunch program in Echo Park. L.A. Kitchen believes that neither food nor people should ever go to waste. By reclaiming healthy, local food that would otherwise be discarded, training men and women who are unemployed for jobs, and providing healthy meals to fellow citizens, L.A. Kitchen empowers, nourishes, and engages the community. At the Echo Park Senior Center, L.A. Kitchen provides fresh, nutritionally-dense meals every weekday to low-income older adults. We are proud to partner with L.A. Kitchen and provide our participants with nutritious and delicious meals. Click here to see more pictures from the visit and click the video below to watch L.A. Kitchen's feature on The Chew. The Echo Park Senior Center is officially open! Thank you to all who attended and supported the event. Special thank you to our guest speakers: The Honorable Mitch O’Farrell, Council District 13; Barbara Romero, Deputy Mayor; Laura Trejo, General Manager, City of Los Angeles Department of Aging; Maria Cabildo, Chief of Staff, The Honorable Hilda Solis, LA County Supervisor, First District; Mark Hovatter, Chief Facilities Executive, Los Angeles Unified School District; The Honorable Ref Rodriguez, Board Member, Los Angeles Unified School District 5; Stephanie Uy, Field Representative at Office of Assemblymember Jimmy Gomez; Ida Talalla, Senior Advocate. We greatly appreciate the generosity of our sponsors who made this event possible! Thank you to our Premier Sponsors: L.A. Care, Care 1st, and CareMore. Thank you to our Major Sponsors: Vasquez & Company LLP, Univision, Comerica Bank, Health Net and Molina Health Care.